February 3, 2015 | Matthew R. Arnold, Esq. 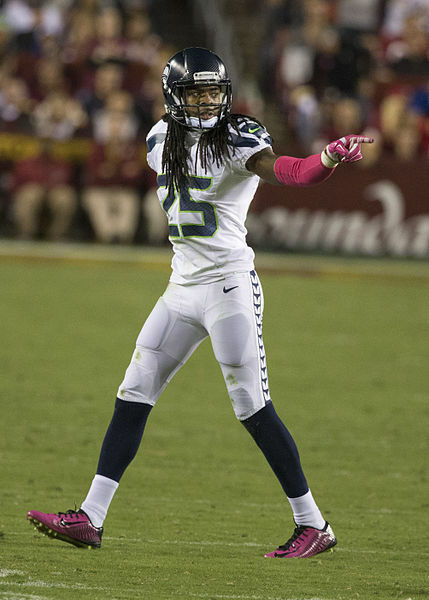 If he knew any better, Seattle Seahawks star Richard Sherman’s son would be praying his dad never gets traded to the Carolina Panthers. Sherman’s son Rayden, born Feb. 5, does not know any better. He could not know—nor could any infant—that in North Carolina, unless his father takes certain legal steps to “legitimate” him, he cannot inherit from him. Until 1959, children born out of wedlock had no right to inherit from their biological fathers. The legislature enacted in 1959 some new laws that gave fathers of children born out of wedlock some ways to “legitimate” their children. Since 1959, those laws have expanded to include additional methods of legitimation, including DNA testing. Under current law, a child born out of wedlock in North Carolina is still at the mercy of his elders when it comes inheriting from one’s father. If the child’s father subsequently marries one’s mother, the child is legitimated and is entitled to inherit like other children. The same can be accomplished through a legal adoption. If a child’s father dies before one’s birth or within a short time afterwards, the child can establish paternity—or that the deceased was his or her father—through DNA testing, but the test must be done within a year of the putative father’s death. If the DNA test is not done within a year, the child is out of luck. North Carolina law provides one additional method of proving paternity. If the father—before his death—signed an affidavit acknowledging paternity AND filed the affidavit in the local Register of Deeds, the child born out of wedlock can inherit from the father. But if a person in North Carolina in Richard Sherman’s shoes took no action regarding paternity and did not marry Ashley Moss, the infant Rayden could not inherit from his father. Instead, Sherman’s parents would inherit from their son. North Carolina intestacy law does not provide for girlfriends, and a child born out of wedlock who has not been legitimated is not entitled to inherit. That leaves Sherman’s parents as the rightful inheritors of Sherman’s estate. Of course, this scenario could be avoided if, as noted above, the decedent legitimated the child, married the child’s mother, or executed a will prior to one’s death. And of course, the scenario only plays out after often tragic, untimely deaths of fathers. But with all the celebrating over the birth of Sherman’s child, it is worth noting that our laws still discriminate against a child born in like circumstances solely because of choices one’s parents made.